R-STUDIO run in the demo mode allows you to evaluate how the utility recovers lost files. The only limitation is you can not recover files larger than 256KB in the demo mode. All R-Studio versions (except the technician version*) are registered on on-the-fly and no reinstallation required. Depending on the registration key the software is activated to local or network version. When R-Studio run in the demo mode has found a lost file larger than 256KB you may simply double click the file to preview it. If you are satisfied with the file content you may buy the R-Studio license, register the software and recover the file right away. Besides compatibility with all 32-bit Windows R-Studio supports 64-bit Windows and allows to use all physical memory (RAM) installed on such computers that highly increases a scan performance especially on high-capacity disks. * R-Studio Technician package setup files can be downloaded by the software licensee only. An Intel-compatible platform running Windows 2000/XP/ 2003/Vista/2008/ Windows 7/8/8.1/10 / Windows Server 2012/2016/2019. The administrative privileges are required to install and run R-Studio utilities under Win2000/XP/ 2003/Vista/2008/ Windows 7/8/8.1/10 / Windows Server 2012/2016/2019. A network connection for data recovering over network. R-Studio Emergency is run from a removable media when it is necessary to recover data on a computer, where operating system cannot start up because its system files are corrupted or deleted. R-Studio Emergency Startup Media Creator is installed under Windows OS and creates R-Studio Emergency (TUI or GUI) startup floppy disks set**, any removable startup media*** or ISO Image for the startup CD/DVD (available for direct download bellow). R-Studio Emergency ISO Images are used to create R-Studio Emergency**** startup CD. 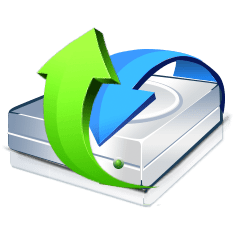 To create the startup CD you should use any disk burning utility to burn a CD from the downloaded ISO Image. You may download R-Studio Emergency ISO images for Intel-based Macintosh, Windows, Linux and UNIX computers/servers. * Both versions have the same functionality but R-Studio Emergency GUI can not be run on a PC if its graphics card is not supported by the utility. ** The floppy disks set supports a limited number of storage/network devices and is not recommended if you may create a startup CD. *** A startup USB media or ZIP drive can be created and used if a computer BIOS supports booting from them. **** R-Studio Emergency is included in R-Studio package but its activation key is generated separately and requires a hardware code obtaining. The activation key can be requested through Client Portal within one year from the date of purchase. R-Studio Agent is installed on computers where files are to be recovered over network. It may be remotely installed on a computer runs WinNT/2000/XP/2003/Vista/2008/Windows 7 from a computer also running WinNT/2000/XP/2003/Vista/2008/Windows 7. In this case, the administrator must have administrative privileges on the remote computer. R-Studio Agent supports the TCP/IP protocol and any protocol supported in Microsoft Network. R-Studio Agent Portable is the R-Studio Agent executable file that can be run on a Windows computer from any USB device. No installation is required. R-Studio Agent Emergency is run from a floppy disk or a compact disk when it is necessary to recover data on a remote computer, on which operating system cannot start up because its system files are corrupted or deleted. R-Studio Agent Emergency supports the TCP/IP protocol and automatic network configuration using DHCP. R-Studio Agent Emergency Startup Media Creator is installed under Windows OS and creates R-Studio Agent Emergency startup media* or ISO Image for the startup CD (available for direct download bellow). R-Studio Agent Emergency ISO Image is used to create R-Studio Agent Emergency startup CD/DVD. To create the startup CD you should use any disk burning utility to burn a CD from the downloaded ISO Image. You may download R-Studio Agent Emergency ISO for Intel-based Macintosh, Windows, Linux and UNIX computers/servers. * The floppy disk supports a limited number of storage/network devices and is not recommended if you may create a startup CD. A startup USB media or ZIP drive can be also created and used if a computer BIOS supports booting from them. ** Five (5) R-Studio Agent/Agent Emergency registration keys are included in R-Studio Network package.